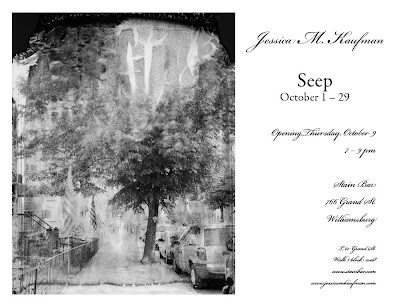 Jessica M. Kaufman's new project Seep takes on the catastrophic oil spill in Greenpoint. It will open at Stain Bar in East Williamsburg, Brooklyn on October 9th (7-9pm), but will be up from October 1 – 29. Check out the Conversation we had with her back in August.